While the economy finally seems to have recovered from the Great Recession, complete with discussion of full employment and rising wages, the memo must have missed the retail industry, where top executives of Macy’s, J.C. Penney, Office Depot and the like pepper quarterly analyst briefings with terms like « softening trends, » « disappointing » and « not satisfied. 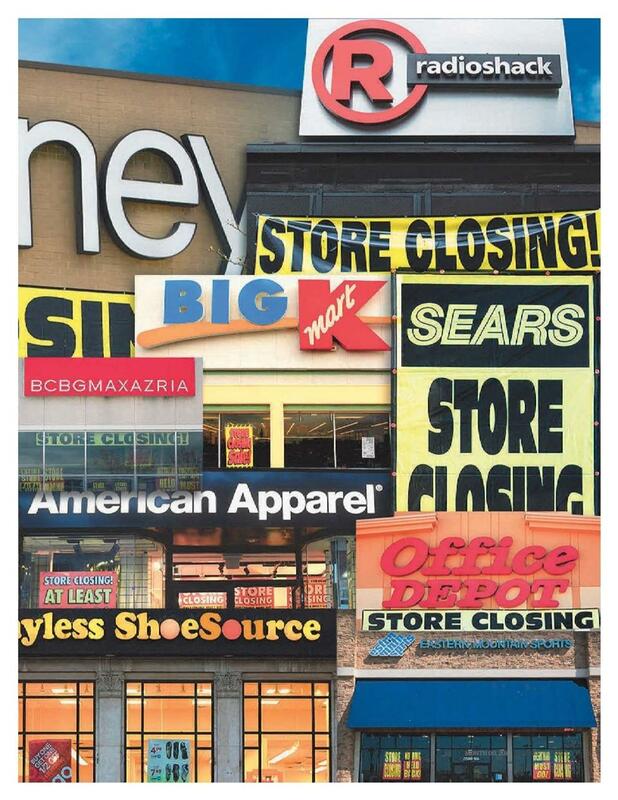 » Since January, at least a dozen shrinking retailers have announced nearly 3,000 store closings. Even well-regarded companies such as Nordstrom see their shares trading at barely half their 2015 highs. About 4.5 million people in the U.S. work as retail salespersons. It’s a tough way to make a living. These workers earn about 55% of the average U.S. wage. And it’s been getting worse: In 2001, that figure was 62%. These are already lousy jobs. Given the decent employment market, struggling retailers won’t make up shortfalls by cutting wages. MIT economist Amy Glasmeier has modeled the earnings that different-sized families would need to pay for food, housing, transportation, clothing and personal effects on their own, without government help. Her « living wage » model doesn’t include vacations, savings or other non-essentials. Drawing on salary data from Glassdoor, analysts at New York-based Just Capital tested the degree to which typical pay for different retail sectors compares with Glasmeier’s norms.They found that between 71% and 96% of the time, depending on the sector, retail workers failed to earn a living wage on average. The examples below all assume a family of three, with one adult working full-time, another working part-time and a child to support. Given the number of single-parent households and those with larger numbers of children, these figures are likely quite conservative. Since 2000, the U.S. population has grown about 15%, but the number of people receiving food stamps (formally known as the Supplemental Nutrition Assistance Program) has climbed 157%. Medicaid enrollment has doubled. While the federal minimum wage hasn’t budged from $7.25 an hour since 2009, many state-specified floors are significantly higher–and are slated to keep rising. In April, Agriculture secretary Sonny Perdue told senators he wants SNAP’s food stamps administered « more efficiently and effectively. » It’s anyone’s guess how Congress and the Trump administration will resolve health policy, but Medicaid cuts are an important part of many reform plans. Retailers file patents so rarely that the U.S. Patent Office doesn’t publicly track them as a distinct industry. The big exception is Amazon, which has won nearly 5,000 patents since 1994. Its inventions range from organizing search-engine results to ensuring that warehouse robots don’t bump into human workers. Like much of the U.S. economy, retailing has faced dwindling growth in output per worker, i.e., productivity. One big exception: online retailing, where increased efficiency yields rich payoffs. Bad news for the brick-and-mortar retailers, where the problem is. PetSmart. Neiman Marcus. J. Crew. These retailers have gone private or recapitalized via private equity deals, taking on extra debt. When operations thrive, debt gets paid and investors win. But the current climate threatens to push retailers into a debt-driven death spiral. At least 12 retailers have announced sizable store-closing plans since the start of 2017. As of May 5, 19 retailers have sought Chapter 11 bankruptcy protection from creditors this year, already surpassing the number of filings (18) for full-year 2016.